When you are considering taking a leap from thousands of feet above terra firma, it’s only natural to be a little apprehensive and wonder: How safe is tandem skydiving? How does a dropzone ensure safety? And when it comes to tandem safety, who is keeping track? To explore just how safe tandem skydiving really is, let’s take a look at the data. The statistics have spoken – and the verdict is: skydiving isn’t as dangerous as you think. So, how safe is tandem skydiving? Well, it is safer than driving! USPA.org skydiving risk graph. Fatalities for tandem skydiving is even less! The United States Parachute Association, the governing body for the sport of skydiving in the United States, has been busy collecting statistics on skydiving since 1961. These statistics reveal that the sport of skydiving is consistently becoming safer. In 2015, out of approximately 3.5 million jumps there were only 21 recorded fatal skydiving accidents. Data also shows that 2016 presented one of the lowest fatality rates in the sport’s history. 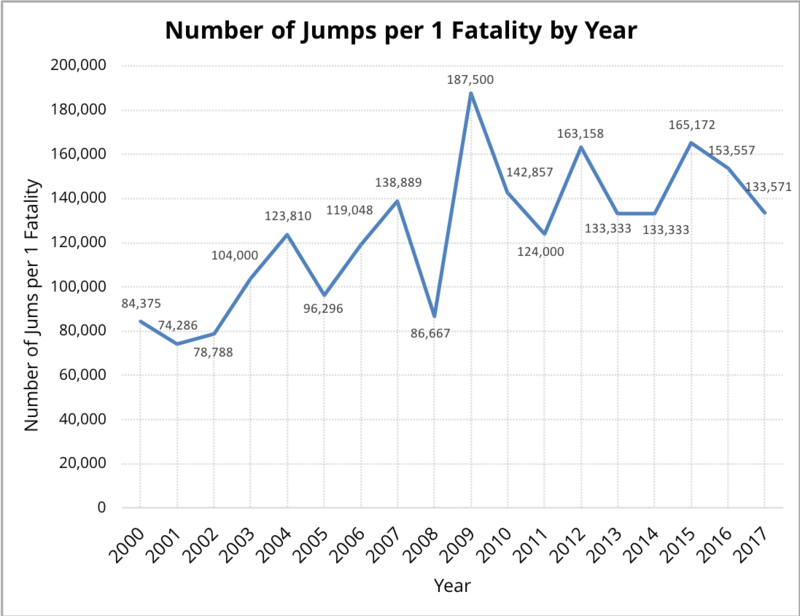 In addition – the same data uncovers something pretty impressive about tandem skydiving safety: Over the past decade, there has only been one student fatality per 500,000 tandem jumps. Data gathered by the National Safety Council reveals a person is more likely to be killed by a bee sting or lightning than on a tandem skydive. As for driving? Crash statistics provided by the National Highway Traffic Safety Administration found that an average of 96 people died each day in motor vehicle crashes in 2015. You are safer during your tandem skydive than you were on your way to the drop zone! How safe is tandem skydiving? If you have an expert instructor like this woman, then very! On a tandem skydive, you are not going it alone. You can rest assured you are always paired with a professional instructor here at WNY. Tandem safety is our top priority, and on your tandem skydive, you will be securely harnessed to a qualified skydiving instructor. Skydiving equipment has come a long way since the old days, and the improvements that have been made over the last 30 years have given us equipment that is assuredly safer. When you make a tandem skydive, you will be using equipment that contains two parachutes. One of these parachutes is called the “main” and, as its namesake indicates, is the primary canopy. The other canopy is called a reserve. In the unlikely event there is an issue with the main canopy, the reserve is used. 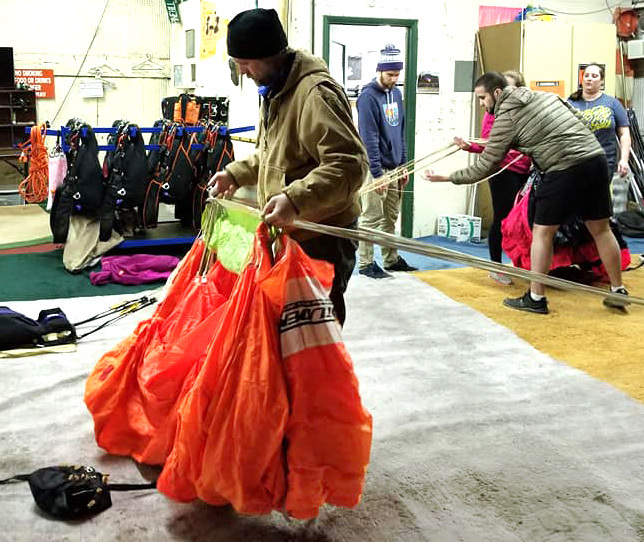 To keep the tandem skydive as safe as possible, the reserve parachute is only handled by an expert FAA-certified rigger (WNY even offers FAA parachute rigger training programs!). Equipment is also outfitted with a pretty neat piece of technology called an Automatic Activation Device (AAD). This little computer ensures that the reserve parachute will deploy when a certain altitude or speed is reached. So, IF the instructor is unable to open the main or reserve, the AAD is great back up device. Because tandem safety is so important here at WNY, your instructor well versed in the equipment. So you see – tandem skydiving isn’t as death defying as it seems. You can also come out and watch to see how many times things go right, and get a feel for the culture. 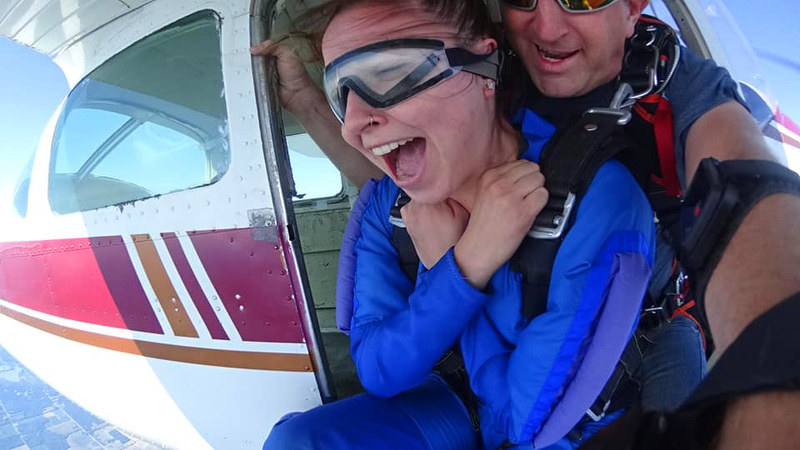 Then when you’re ready to give it a go – ioin us at WNY skydiving – we would love to share this once-in-a-lifetime experience with you.